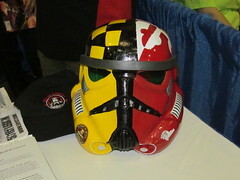 On Saturday I checked out the local Baltimore Comic Con. This was my first time attending the Baltimore show and I was really looking forward to checking it out. I arrived around 9:30am and there was already a decent line outside. I saw people of all ages and all walks of life. 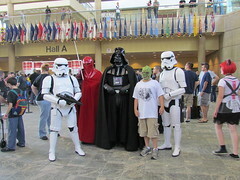 I think that’s one of the best parts of any convention, the crowd. The wait outside wasn’t too bad, they had staff walking around and checking your registration. They would then give you the golden ticket, well in my case a yellow wristband and once the doors opened at 10am, you were good to go. Once inside I headed straight for the floor area, as did most people. Actually, it looked like most people headed to the VIP Stan Lee line. The line was huge and I wasn’t surprised. It actually wrapped around the exhibit hall and blocked some of the artists tables. Personally, I would be pissed if a line blocked my table/booth. I really think Stan Lee should have been in another area of the convention center, maybe in a room by himself. I think that would’ve taken care of a few issues, like the line and sense of overcrowding. Now, since I had never been before I had no idea how it compared to past BCC’s but I did hear a few regulars who said it was definitely more crowded then in years past. I think it’s great that more people are coming out but then the organizers need to use more of the convention center. 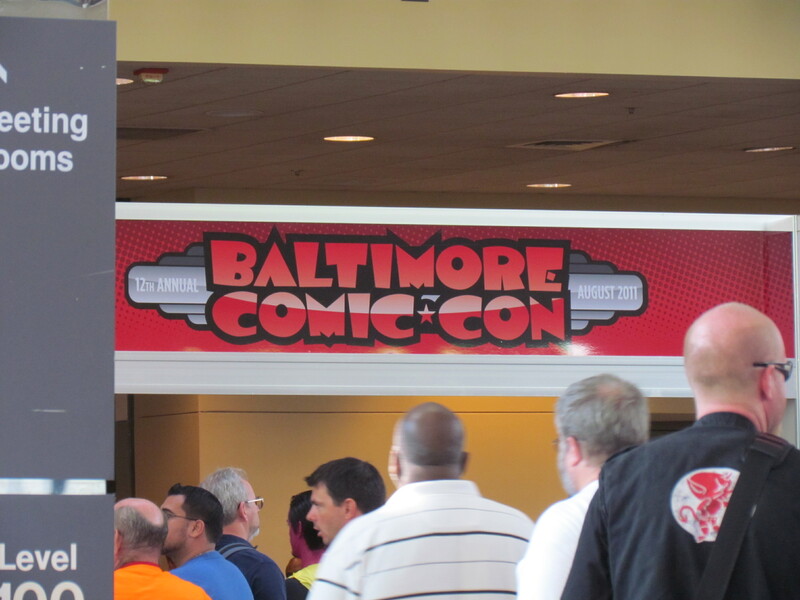 I’ve been to the Baltimore Convention Center for everything from a MotorTrend Car Show to a Baltimore Orioles convention and I never felt crowded until this past weekend. 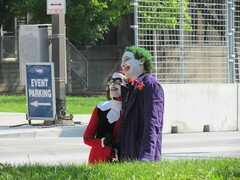 Moving on, just like with any Comic Con I saw a good amount of costumes. My favorites were the kids who were dressed up though. I always think they look adorable. I saw a few Captain America’s and a good number of Poison Ivy’s as well. I wish I had made the costume contest but sadly I didn’t. I’ll have to plan better for next year and maybe arrive a little later in the day. After checking out some of the costumes, I made my way around the floor to check out Artist Alley. This has become one of my favorite areas of any Comic Con. I think the talent these artists have is amazing and I wish I had 1% of it. I just love seeing all the different styles and takes on some of the classic characters. It’s amazing to see the little twists that each artist adds to make a piece of art their own. I could honestly spend all day just checking out Artist Alley and it seemed like most people there agreed. There was always a steady flow of people checking out the art work and flipping through the portfolios. 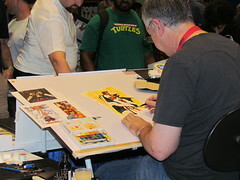 While walking around Artist Alley I came across the table for Christoper Uminga. His artwork caught my eye because it was different and little weird. I love “weird.” I started looking through his books and then stopped. Why? 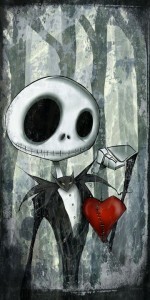 Because I came across a Jack Skellington to go with my Sally. I’ve mentioned it 100 times before but I love “The Nightmare Before Christmas.” I happily paid the $20 and left with a huge smile on my face. 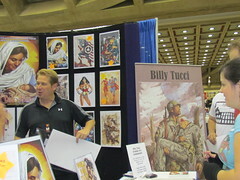 It was nice to see people there for the comics as well. 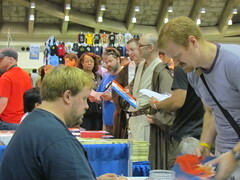 Many people in attendance and online say that Baltimore is one of the last true Comic conventions out there. You won’t find B List Celebrities here! What you will find are people, artists and vendors that love what they do and the products that they sell and the characters they’ve grown up with. It didn’t matter where you looked. If there was a table or booth selling comics there were 3 or 4 people digging through looking for that final piece for their collections. Or maybe like me, they’re trying to find that first piece. I think I found mine. Anyone have $30,000 I can borrow? No? Are you sure? This is the type of stuff you find at Baltimore. 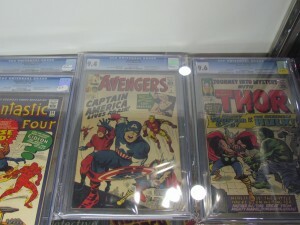 You have your $1 boxes and then you have your “behind the glass” special comics and items. Of course you had various action figures, toys and statues for sale as well. I actually found a booth that offered San Diego Comic Con exclusives, for about twice the price if not more. They were selling the Mattel Masters of the Universe Polly Pocket set for $50. It was available online and at SDCC for $20. They had the Stay Puft as well and if I remember that was listed for $170. It seemed like for the most part though, the smaller SDCC exclusives were going for $50-$75. All in all it was a great time! I didn’t attend any of the panels but I got my fill just by walking around the floor. If any of you out there did attend a panel and would like to share a review just email us! We’d love to post it. Of course if you attended and want to share a few thoughts you can drop them in the comments! Here are more pictures from Saturday! You can find the rest of my pictures here.